These installs where in pairs, 1 vCenter per datacenter/MER, each their own seperate SSO install (on the same server). We did not believe at the time, that these SSO installations had any relationship with each other. The reason we thought this, is because the vCenters were not in linked mode with each other. Unless you specifically checked the SSO config, you cannot easily notice if they are, in fact, both in the same SSO domain. It turned out, of course, this was the case. When you have 2 embedded SSO installs on 2 windows servers, and they are both in the same domain, this is a supported topology in vSphere 5.5, but crucially, this is not supported in vSphere 6.5U1! In other words, if you have 2 VCSA’s, they embedded SSO’s may not point to eachother in 6.5. Instead you are to use external, dedicated PSC appliances in this case. When we migrated the first vCenter, the pre-migration checks done by the assistant did not alert us to the fact that SSO was linked to another SSO. There is nothing in the Migration Assistant or the Migration Tool that shows you the topology it has found in place. There appears to be no check against supported or unsupported configurations. At some point, the Migration tools makes an interesting decision. Having found SSO being in a multi-site, single domain setup, it seemingly desided to turn on Enhanced Linked Mode, between the 2 vCenters that where both members of the domain. Even though previously, there was no linked mode between them. Once we migrated the first vCenter1, in the new 6,5 webclient UI, it started complaining that it was missing the other vCenter2. Once the other vCenter had also been migrated, they both, very neatly, appeared to be in a Linked Mode relationship with each other. This was unexpected behavior, and various folks at VMware have expressed their surprise to me that the migration tool did this. How did we get out of it and return to a supported config? Also the procedure is different because we had embedded PSC. So that means the step would involve taking the complete VCSA off the network, one after the other. We needed to accomplish 2 things: A. Break the SSO link so that we have 2 separate, independent SSO instances again. Then, break the linked mode between the vCenters. All this while making sure that the vCenters where still locally pointing to their own, embedded SSO. So we ended up executing the following steps. The following steps are NOT supported by VMware. You Do this at your own risk. Make sure you have backups and/or snapshots in place. Each vCenter will have to be off the network briefly, so take that into account. Also, you will be left with some loose ends that you may not like, see bottom of this post. 1. Double check the current SSO config using the dir-cli command. You can clearly see the fact that 2 seperate SSO nodes are listed. This view should be identical on both VCSA’s as they both have the same view of the SSO Domain (aka the ‘federation’). 2. So this is where it gets interesting. You will now take one of your 2 vCenters completely off the network. The idea is actually to make one PSC node not be able to talk to the other, so that we can force-break the federation between the two SSO nodes. I suppose you could accomplish this with a clever firewall rule also. But for all practical purposes, its probably easier to just disconnect the entire VCSA from the network, briefly. That is what we did. Double check you really cant reach the vCenter when you take it offline. When we tried passing the password on the command line, for some reason it didn’t like it. 5. 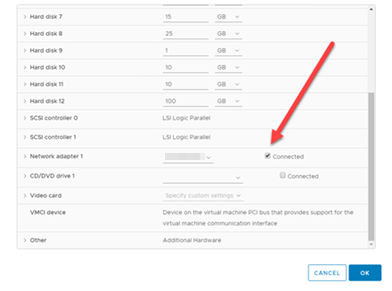 After you have run the command on vCenter2, you can connect it back on the network. Now you can use the dir-cli command to check the relationship again. You should now only see 1 entry on each VCSA, only itself. Or rather.. its own local PSC/SSO instance. 6. Now that SSO has been severed in twain , we need to cut up the Linked_Mode association between the 2 vCenters. Or rather, on each vCenter, we shall unregister the other. We do this in the configuration of the Inventory Service. This ID is unique and local to every Inventory Service. 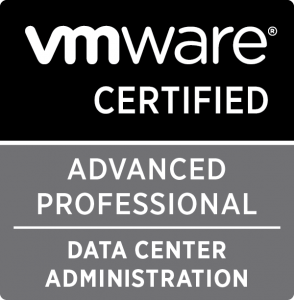 So again we will need to do this procedure separately on both vCenters. The VCSA’s can remain on the network for this. 7. Then we shall use the following command to unregister this service from the Inventory service. You should now find, that both vCenters no longer have linked mode registrations to their counterparts. Linked mode is now broken. On the linked mode tab, the other vCenter has vanished, and they no longer appear in each-others inventory tree. 9. And that is it! But, this procedure will leave you with at least 1 issue; Invalid License Manager asset references. This is more an inconvenience than anything else. We chose not to fix this at this time, that is why I don’t currently have a procedure to fix it. Perhaps someone else made one? But I may dedicate a future post to this. Don’t get into this situation in the first place. Make sure you validate and check all aspects of your 5.5 enviroment before upgrading, and this includes checking the SSO topology. Having discussed this with several VMware folks, they seem surprised by this default behavior of the migration tool. Some questions are being asked internally, and perhaps more insight will emerge soon, if it does I will update this post.